Since the West Chester zip codes extend well beyond the Borough, itself, we have created multiple searches to make it easier for you. Click these Quick Search Links to View Properties! 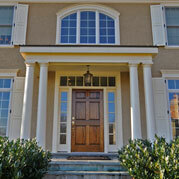 Welcome to our West Chester Real Estate “Quick Search” page. To get started, click one of the bold links, above. In order to search other Chester County towns, use the the community links on the right side, or extend your search to other counties and areas by using the green buttons below. Our “Quick Links” cover new construction, residential resales, & the maintenance free pleasures of condominium living. If you are looking for land, or something else, please contact us, directly, and we will be glad to help. The Borough of West Chester is the Chester County seat, and has a developed night life thanks to its varied dining spots.